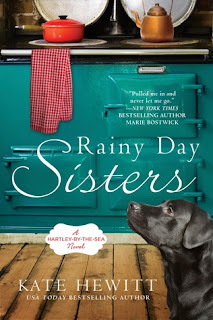 "Welcome to Hartley-by-the-Sea in England’s beautiful Lake District, where two sisters who meet as strangers find small miracles tucked into the corners of every day...."
Lucy Bagshaw's half sister, Juliet, had warned her about the weather. "When the sun is shining, it's lovely, but otherwise it's wet, windy, and cold," she'd stated in her stern, matter-of-fact way. "Be warned. "Lucy had shrugged off the warning because she'd rather live anywhere, even the Antarctic, than stay in Boston for another second. In any case she'd thought she was used to all three. She'd lived in England for the first six years of her life, and it wasn't as if Boston were the south of France. Except in comparison with the Lake District, it seemed it was. She'd just tried to erase all signs of her presence in Juliet's house. Because Juliet didn't want her here. It hadn't been her imagination; her half sister actually did resent her. A new novel set in England's Lake District. Lady Georgiana Rannoch won’t deny that being thirty-fifth in line for the British throne has its advantages. Unfortunately, money isn’t one of them. And sometimes making ends meet requires her to investigate a little royal wrongdoing. George is known for his many affairs with women as well as men—including the great songwriter Noel Coward. But when I search the Palace for a supposed ghost, I only encounter an actual dead person: a society beauty said to have been one of Prince George’s mistresses. I have just finished reading Queen of Hearts, the eighth in the series, for a publisher book tour on August 4, and I must say it was full of surprises. I am looking forward to reading this one as well. 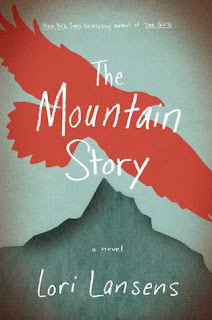 The Mountain Story: A Novel by Lori Lansens, published June 30, 2015 by Simon and Schuster. Dear Daniel, A person has to have lived a little to appreciate a survival story. That's what I've always said, and I promised that when you were old enough, I'd tell you mine. It's no tale for a child, but you're not a child anymore. You're older now than I was when I got lost in the mountain wilderness. Five days in the freeing cold without food or water or shelter. You know that part, and you know that I was with three strangers and that not everyone survived. What happened up there changed my life, Danny. Hearing the story is going to change yours. ..."It wasn't a helicopter. You heard Wolf. It was the wind." Five days. Four hikers. Three survivors. From Lori Lansens comes a gripping tale of adventure, sacrifice and survival in the unforgiving wilderness of a legendary mountain. On his 18th birthday, Wolf Truly takes the tramway to the top of the mountain that looms over Palm Springs, intending to jump to his death. Instead he encounters strangers wandering in the mountain wilderness, three women who will change the course of his life. Through a series of missteps he and the women wind up stranded, in view of the city below, but without a way down. They endure five days in freezing temperatures without food or water or shelter, and somehow find the courage to carry on. Based on the beginning, the teaser, and the book details, would you read on? 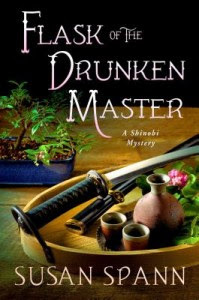 The winner of Flask of the Drunken Master: A Shinobi Mystery #3 by Susan Spann is Kay Stewart, chosen by Randomizer. Congratulations! An email has been sent to the winner. Amazing that the low 80s can feel so hot. We are so used to having cool temps here that anything higher then 70s feels very warm. There were a few days of absolute bliss - sunshine, clear skies, cool breezes, maybe mid 70s. Wish we could have more of those. The Sisters of Versailles: The MIstress of Versailles Trilogy 1 by Sally Christie, to be released September 1, 2015 by Atria Books. 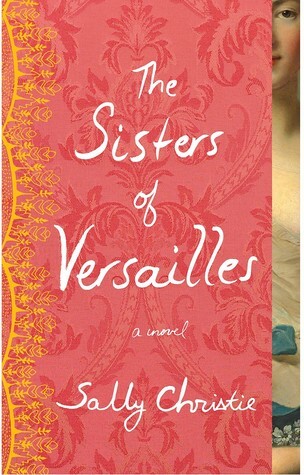 "Set against the lavish backdrop of the French Court in the early years of the 18th century, The Sisters of Versailles is the extraordinary tale of the five Nesle sisters: Louise, Pauline, Diane, Hortense, and Marie-Anne, four of whom became mistresses to King Louis XV. Stranger than fiction but true in every shocking, amusing, and heartbreaking detail." I like that the book is "carefully researched and ornately detailed," the first of an historical fiction trilogy. 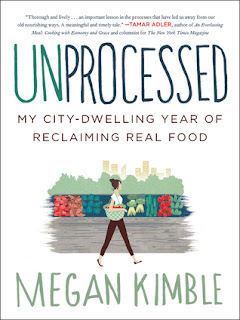 Unprocessed: My City-dwelling Year of Reclaiming Real Food by Megan Kimble, published June 23, 2015 by William Morrow. 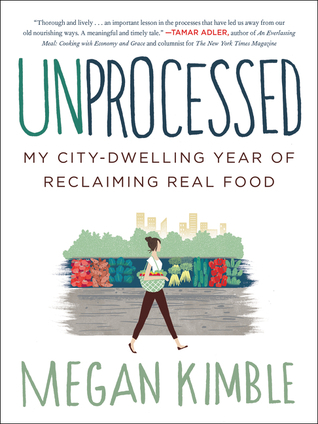 "From a founding editor of Edible Baja Arizona, of a young woman's year-long journey of eating only whole, unprocessed foods--intertwined with a journalistic exploration of what "unprocessed" really means, why it matters, and how to afford it." 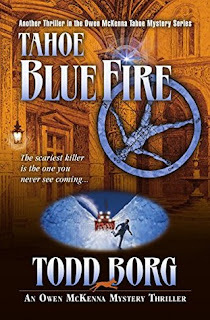 Tahoe Blue Fire: An Owen Mckenna Mystery Thriller #13 by Todd Borg, to be published August 1, 2015 by Thriller Press. "When Tahoe Detective Owen McKenna gets a call from a woman who’s afraid for her life, it sounds like she is excessively paranoid. McKenna investigates and discovers that two other people have already died. He believes the killer is after something worth millions, a precious artifact that dates back to Renaissance Italy. " Loved all the previous ones in this series, set in picturesque Tahoe! 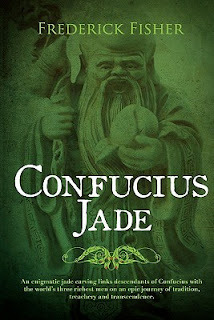 I am now reading Confucius Jade by Frederick Fisher, and a couple of cozies for blog tours. My reading seems to have slowed down a bit. Maybe distracted by warm weather outdoors!. That's always a good thing! A giveaway of Flask of the Drunken Master by Susan Spann ends tomorrow. Email me to enter the contest. Today, I’d like to take you on a whirlwind tour of Medieval Japanese justice—a topic close to my heart, and one I explore in the newest Shinobi Mystery, Flask of the Drunken Master. Medieval Japanese justice actually followed two different, but parallel systems: one for commoners, and the other for the samurai nobles who sat at the top of the social ladder. By the 16th century—the era when my Shinobi Mysteries take place—Japan had a highly developed system of courts and law enforcement. Magistrates presided over the courts in every major city (and many towns), resolving disputes and conducting the trials of commoners accused of crimes. Although the magistrates themselves were members of the ruling samurai class, their jurisdiction extended mostly to commoners. 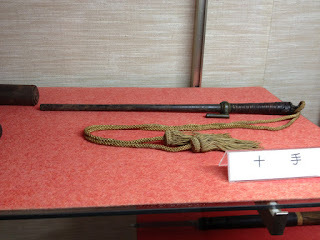 By law, the samurai had the right to resolve their legal disputes without the magistrate’s intervention (although samurai could agree to submit their problems to magistrates for review). 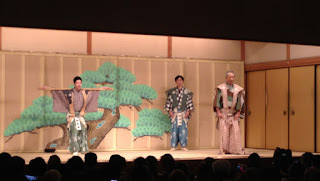 Like magistrates, yoriki and dōshin were always members of the samurai class. However, policemen usually came from low-ranked samurai families, whereas magistrates almost always belonged to powerful, influential clans. Despite the fact that their social group controlled and composed the police force, samurai rarely used the justice system to resolve their own disputes. Samurai families generally resolved their minor issues through negotiation, and where that failed, they delivered their justice on the edge of a sword. For the most part, the official justice system existed to manage the lower classes. Like the justice system itself, the punishments meted out to criminals often depended on the social class or rank of the convicted (or condemned). The "self-determining" samurai was usually allowed a “second,” called the kaishakunin, who ended the samurai’s life with a merciful strike to the neck as soon as the fatal stomach cut was completed. A skillful kaishakunin didn’t sever the head completely; instead, his skillful stroke resulted in a head that hung from the owner’s body by only a narrow strip of skin. 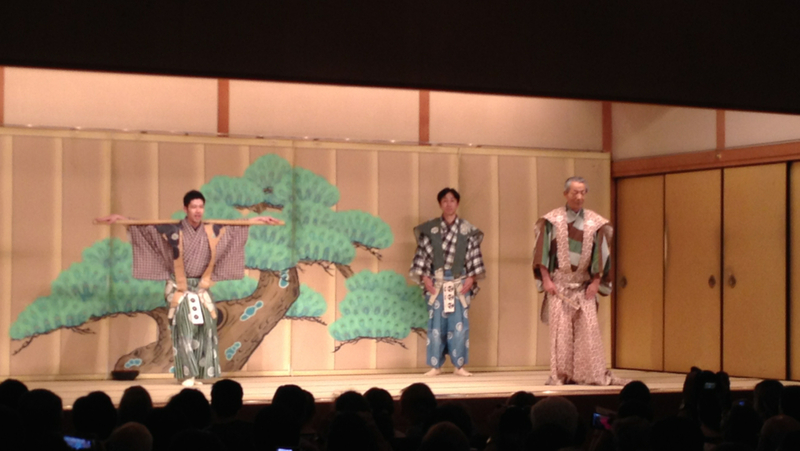 The thinner the strip, the more respect the kaishakukin—and the now-deceased samurai atoning for a crime--received. Among commoners, the sentence for serious crimes was generally death by hanging. In contrast to seppuku, which restored a condemned man’s honor, hanging was a degrading and defiling form of death. It shamed not only the convict, but his (or her) family as well. Hangings often took place in public, sometimes followed by decapitation and display of the criminal’s head as a warning to the population at large. In an ironically “modern” twist, the Japanese justice system treated female criminals as equals of their male counterparts where punishment was concerned. 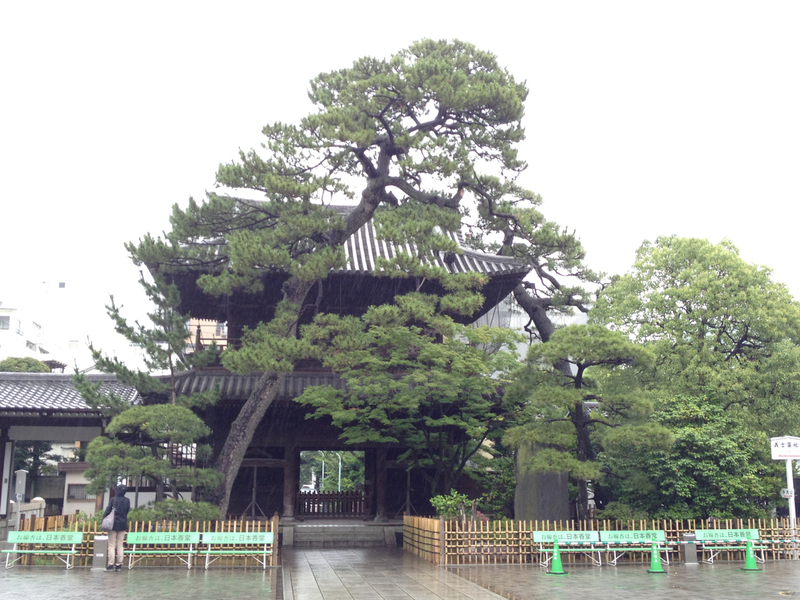 Females went to the gallows alongside male criminals, and female samurai who committed crimes were often allowed the option of suicide (usually by poison but occasionally by seppuku). 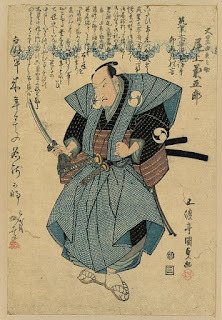 My first two Shinobi Mysteries, Claws of the Cat and Blade of the Samurai, involved medieval Japanese ideas of crime and punishment—ideas which the Japanese considered inseparable from the larger ideals of honor, respect, and social class—but the plots of those novels didn’t give me the chance to show a criminal on trial. Flask of the Drunken Master shifts the investigation to a crime against a commoner, which gave me an opportunity to explore the issues of justice—and punishment—from a significantly different point of view. The trial scene at the end of the book is one of my favorites in the entire series. Regardless of the criminal’s social status, major crimes like murder were considered unforgivable not only in their own right but also because they demonstrated disrespect for the Japanese social order. A major crime created a debt that could only be “repaid” with the criminal’s life—a truth that transcended even the sharp class lines that pervaded medieval Japanese culture--and one that my ninja detective, Hiro Hattori, understands all too well. 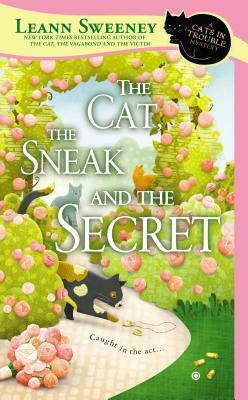 Thanks to Susan Spann, author of the three Shinobi mysteries, Claws of the Cat, Blade of the Samurai, and Flask of the Drunken Master, for this guest post. See my review of The Flask of the Drunken Master. For other reviews/guest posts/giveaways of the Flask of the Drunken Master, visit the tour schedule at Historical Fiction Virtual Book Tours. Under gray skies, leaden with the September monsoon, the burros wound their way down the mountain, known as Mangin Taung in northern Burma. Twelve of the pack animals were tethered to each other. A drover led the train and another followed. An A frame of rough hewn wood, strapped over hemp-pad blankets, burdened the sturdy animals. They bore fifty-kilo burlap sacks containing jade boulders, lashed tightly to each side of the frame. Twelve hundred kilos of precious jade rough traveled on a route from the ancient mines at Hpakant in the Kachin Territory to Rangoon, far to the south. Page 56: Only a storyteller could imagine how the jade came from the mountains of Kachin, split and lay there many years at this precise bend of the river, to be discovered by our Mei Hua. Only a storyteller could imagine what would emerge from the jade to affect the lives of so many. My comments: I am always willing to give interesting historical fiction a try, to get what nuggets of history I can while reading. The author is a certified gemologist and registered jeweler with the American Gem Society for many years. Until recently, he and his wife spent six months each year in Southeast Asia. I am eager to read what he has to say about this fascinating subject - jade and the ancient myths surrounding it. I received a review/feature copy of this book from the publisher. "Halt!" The armored samurai stepped forward to block the bridge. "No one crosses the Kamo River without identification. 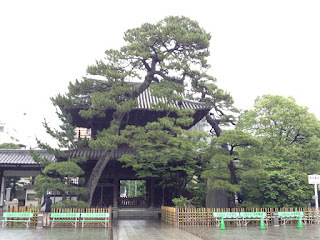 State our names and your business in Kyoto." Hattori Hiro gestured to the Jesuit at his side. "Father Mateo Avila de Santos, a priest of the foreign god, from Portugal . I am Matsui Hiro, his interpreter and scribe." My comments: And so begins the third book in the Shinobi Mystery series, featuring Hiro, a samurai in disguise as an interpreter, whose job is to guard the Jesuit priest, Father Mateo, in Japan. The two have solved murders before, and continue to do so in this book. Hiro is the main crime solver, with Father Mateo as his sidekick or helper. Samurai and Japanese codes of conduct are very much in the forefront, and Hiro must steer Father Mateo clear of any offence the Jesuit might make in speech, manner, or conduct while they interrogate people and make inquiries regarding the crime they are determined to solve. The two make an interesting pair of sleuths and their complimentary characters add to the interest of the novel. The author brings Japanese history, its customs and politics, to life in this series and in this book, as we enjoy detecting from an unlikely pair of sleuths. I highly recommend it for history and mystery buffs alike. Thanks to TLC Book Tours and the author for a review copy of this book. 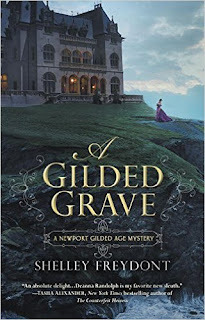 For other reviews of this and other books in the mystery series, for giveaways, and author posts, visit the tour schedule. A hard copy of Flask of the Drunken Master to a resident of the U.S. or Canada. To enter the contest, please email me at harvee44@yahoo.com with the email heading, FLASK CONTEST. The contest will run now through July 27. A winner will be notified by email on July 28 and will have two days to respond with a mailing address. TLC Book Tours will arrange for the mailing of the book to the winner. Good luck! UPDATE: The winner, chosen at random, is Kay Stewart. Congratulations, and thanks to all who entered the contest. I am excited to have two historical novels about female photographers who made their mark taking photos of the aftermath of WWII. 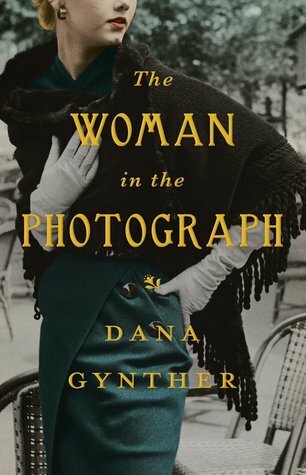 The Woman in the Photograph by Dana Gynther, a novel based on the real life photographer, Lee Miller, who captured startling images from WWII. It is to be released August 4, 2015 by Gallery Books. 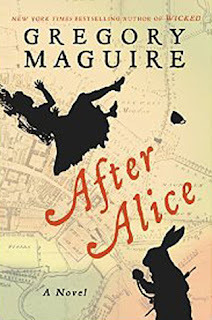 I also have an ARE of Gregory Maguire's After Alice, to be published October 27 by William Morrow. 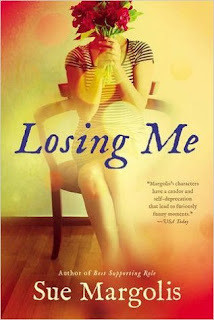 Losing Me, a novel by the English author Sue Margolis, published July 7, 2015 by NAL. 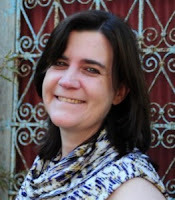 and will post a book tour review this coming week for the historical mystery, Flask of the Drunken Master by Susan Spann. There will be a giveaway of the book. Look for it! 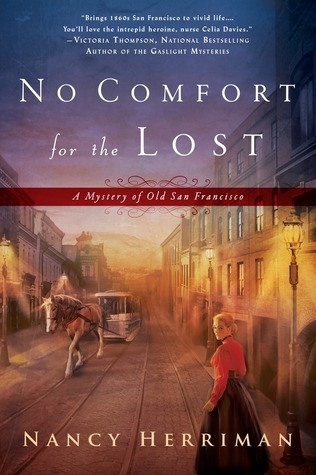 No Comfort for the Lost (Mystery of Old San Francisco #1) by Nancy Herriman, to be released August, 4, 2015 by NAL. San Francisco, March 1867. The Chinese believed that some days are inauspicious, the ill tidings written in the passage of the heavenly bodies. Celia Davies gazed down at her patient, a delicate Chinese girl whose skin displayed more bruises than unblemished flesh, and wondered if today would probe to be one of those days. "You heal!" The old woman who'd been watching from the doorway flapped wrinkled hands, causing the lengthy twist of her silver-tinged ebony hair to swing across her chest. "You heal. ""I shall try," Celia answered. "I shall try my best." 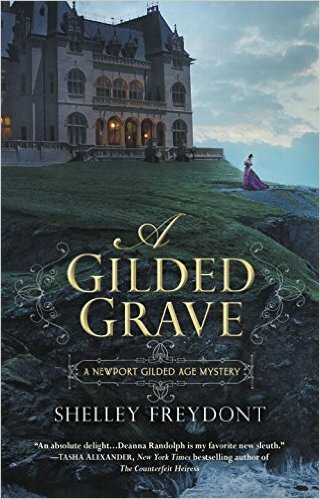 In this historical mystery series debut, a courageous nurse and a war-scarred police detective in 1860s San Francisco champion the down-trodden and fight for justice. British-born Celia Davies left her privileged family for an impulsive marriage to a handsome Irishman. Patrick brought her to San Francisco’s bustling shores but then disappeared and is now presumed dead. Celia partnered with her half-Chinese cousin Barbara and her opinionated housekeeper Addie to open a free medical clinic for women who have nowhere else to turn. But one of her Chinese patients is found brutally murdered…and Celia’s hotheaded brother-in-law stands accused of the crime. Page 56: "I'm trying to imagine you with a younger sister, Mr. Greaves. You must be very protective of her." A new mystery series that I am eager to get into. Nineteenth century San Francisco is a great setting for an historical series. 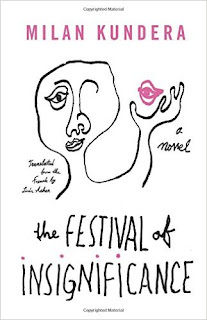 The Festival of Insignificance by Milan Kundera, published June 23, 2015 Harper. Contemporary novel. "From the internationally acclaimed, bestselling author of The Unbearable Lightness of Being, an unexpected and enchanting novel—the culmination of his life's work. Having read only The Unbearable Lightness of Being put me at a disadvantage for reading this book, the "culmination of his life's work." I admit I was somewhat lost as to the author's message and intention and realize that the book, though very brief, would have more significance for those who have read more of his work and followed this well known author. Nevertheless, there are fascinating parts to The Festival of Insignificance.The women he refers to are unsympathetic to say the least. I was tempted to think him a misogynist in this book, but I would have to judge his words by the body of his work. 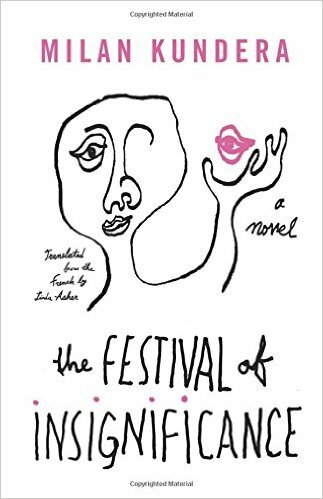 Unfortunately, I think I would need to read more of Kundera to comment adequately on The Festival of Insignificance. I would welcome comments from Kundera fans and readers and refer readers to other reviews at TLC Book Tours. The Franco-Czech novelist Milan Kundera was born in Brno and has lived in France, his second homeland, since 1975. He is the author of the novels The Joke, Farewell Waltz, Life Is Elsewhere, The Book of Laughter and Forgetting, The Unbearable Lightness of Being, andImmortality, and the short-story collection Laughable Loves—all originally written in Czech. His most recent novels Slowness, Identity, and Ignorance, as well as his nonfiction works The Art of the Novel, Testaments Betrayed, The Curtain, and Encounter, were originally written in French. For more reviews of the book, visit the tour schedule at TLC Book Tours. I received a free proof of this book from TLC Book Tours for the tour. This is the first time I've seen this series which now has ten books! 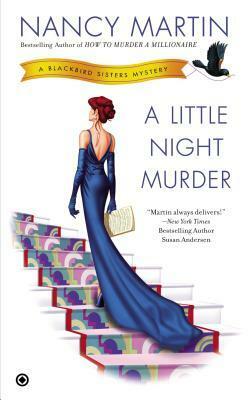 I love the cover - those stairs, the elegant gown, and the title! Book description: Nora Blackbird turns the spotlight on a killer in the latest in the series. While a pregnant Nora relaxes in her best friend’s Bucks County pool, a Broadway show is in rehearsal next door at the home of the legendary late composer “Toodles” Tuttle. His diva widow, Boom Boom, has racked up a chorus line of enemies, so the old broad’s death is a hotly anticipated event. But it’s her beloved daughter, Jenny, who drops dead just as the lights are set to go on for the lucrative new Toodles musical. The gunshot hit Nicolai Gorev squarely between the eyes. His head snapped back, then whipped forward, and he toppled face-first onto his desk. There were two other people in the office of Club Anastasia. Paul Levine describes the book best in his Author's Note at the end of the book. "Bum Rap brings together Lassiter, the lineback-turned lawyer, and mismatched law partners Steve Solomon and Victoria Lord." I thought it was clever of the author to bring together in Bum Rap the main characters of his two separate thriller series. The book becomes just as much a love triangle possibility as a legal thriller, when Victoria enlists Lassiter's help to clear her partner in life and law, Solomon, of a murder that would bring him many years in jail if he is convicted. As the sparks fly between Victoria and Lassiter, the two fight to find legal ways to "bend the system" to bring about a kind of ultimate justice and free Solomon. Legal thriller readers will love this book. Though not lawyerly-inclined, I was equally intrigued by the arguments and strategies Lord and Lassiter use to try to bring about a desired outcome. But first they have to find out what really happened the day the Russian mafia type was killed, supposedly by Solomon. Solomon is saying something different, however, but is it the truth? 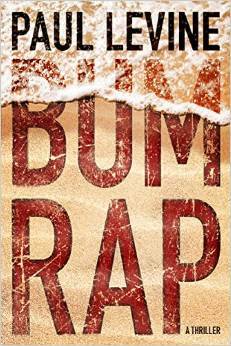 For more reviews of Bum Rap, and giveaways, visit the tour schedule. I went into the bookstore only to browse, started to read this book, then bought it. Seems I've been doing this recently, to the detriment of my pocketbook. 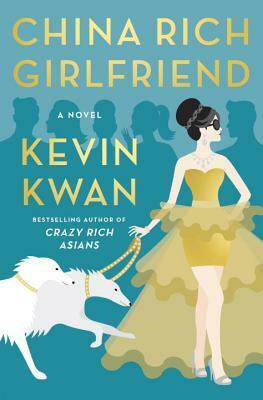 China Rich Girlfriend: A Novel by Kevin Kwan, published June 16, 2015 by Doubleday. First in a new series... a setting that was America's answer to Downton Abbey? 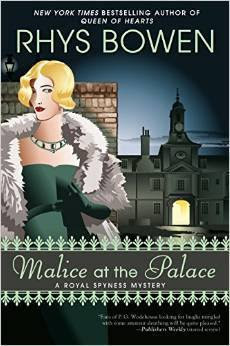 Malice at the Palace: A Royal Spyness Mystery by Rhys Bowen, to be released August 4, 2015; Berkley Lady Georgiana Rannoch won’t deny that being thirty-fifth in line for the British throne has its advantages. Unfortunately, money isn’t one of them. While my beau Darcy is off on a mysterious mission, I am once again caught between my high birth and empty purse. I am therefore relieved to receive a new assignment from the Queen. The King’s youngest son, George, is to wed Princess Marina of Greece, and I shall be her companion at the supposedly haunted Kensington Palace. George is known for his many affairs with women as well as men—including the great songwriter Noel Coward. But when I search the Palace for a supposed ghost only to encounter an actual dead person: a society beauty said to have been one of Prince George’s mistresses. 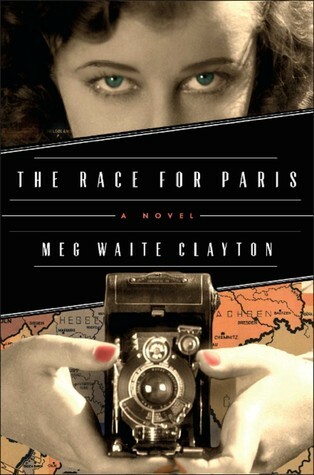 A dynamic World War II novel about two American journalists and an Englishman, who together race the Allies to Occupied Paris for the scoop of their lives. Based on daring, real-life female reporters on the front lines of history like Margaret Bourke-White, Lee Miller, and Martha Gellhorn—and with cameos by other famous faces of the time. These books are all fabulous! I can't wait to review them! What do you have in your mailbox this week?